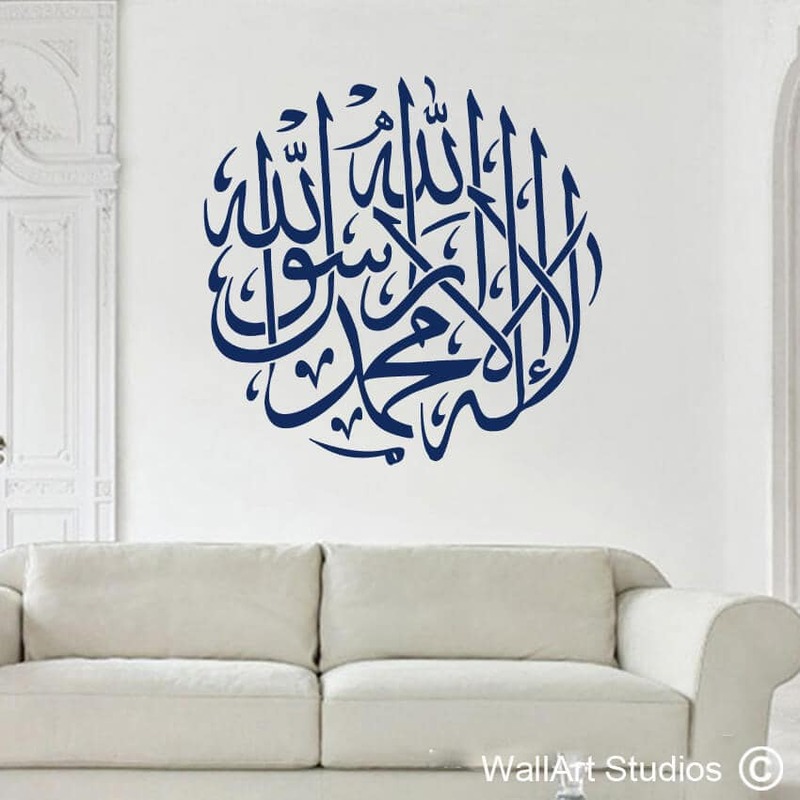 Bismillah, which translates into “In the name of God” or “In the name of Allah”, is the very first word written in the Quran. 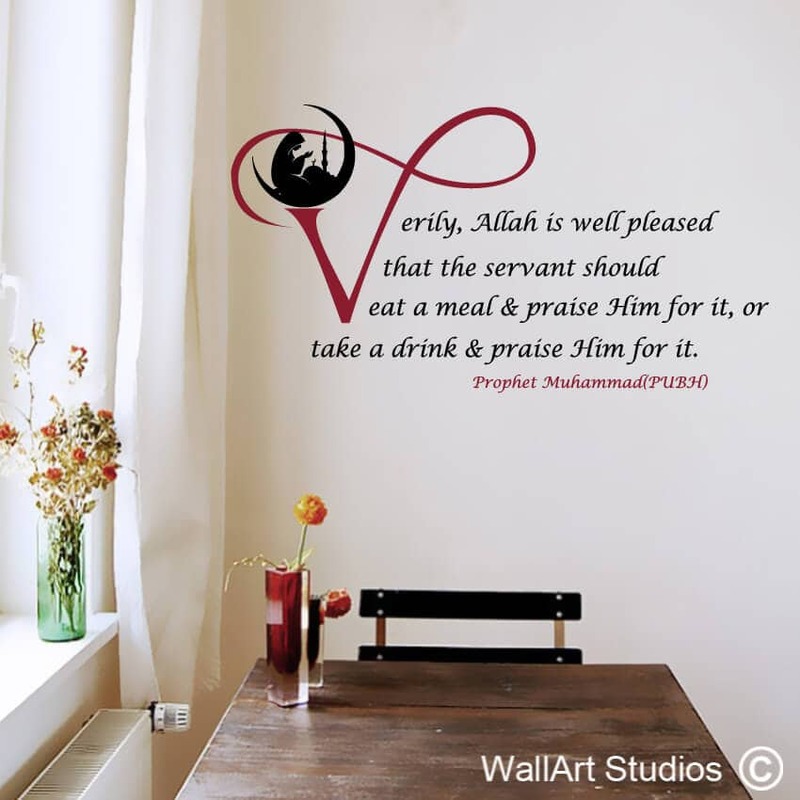 It is the distilled form of the complete statement “In the name of God, the Most Gracious, the most Merciful” – Bismillahirrahmanirrahim, making this phrase incredibly sacred to the Islam faith. 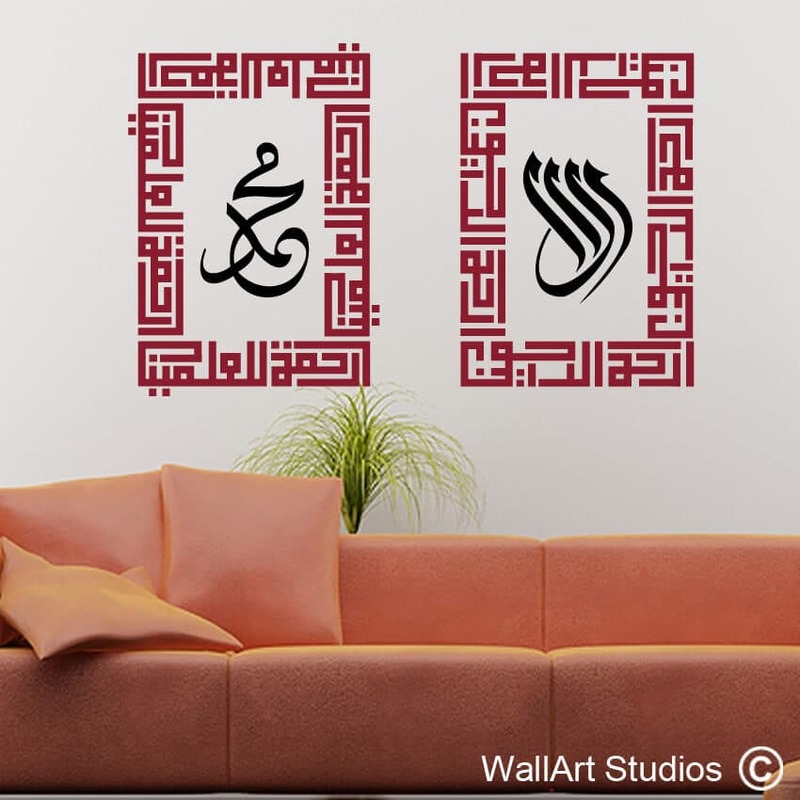 Our wall art sticker of Bismillahirrahmanirrahim is a wonderful visual focal point to establish in any room, but especially the communal rooms in the home, where the family gathers for prayer, meals, or togetherness. 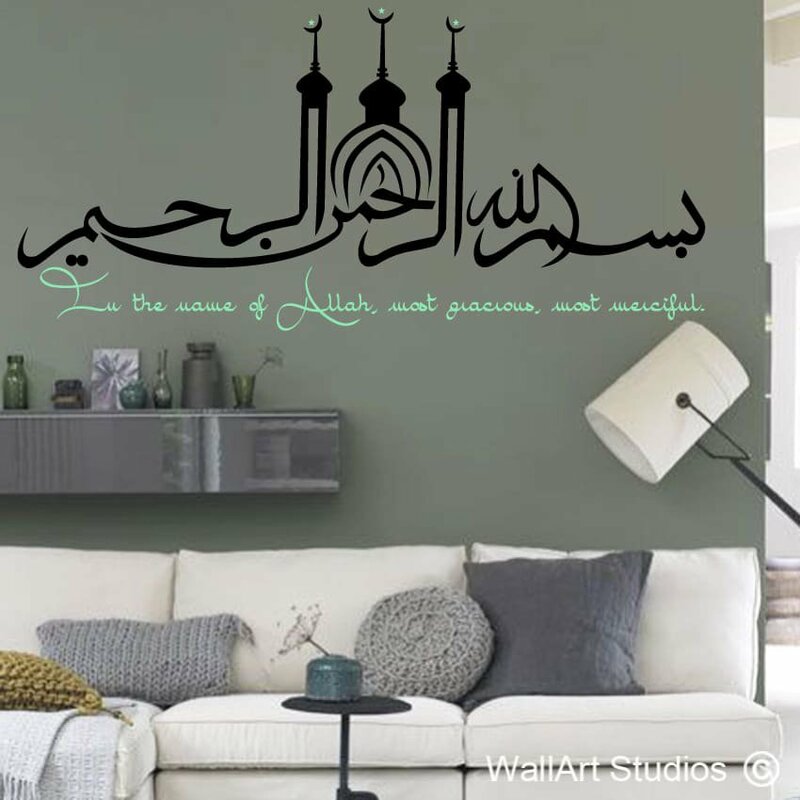 This beautiful wall art decal can be placed above the fireplace mantle, the dining room table, in a place of worship, or even above your bed. 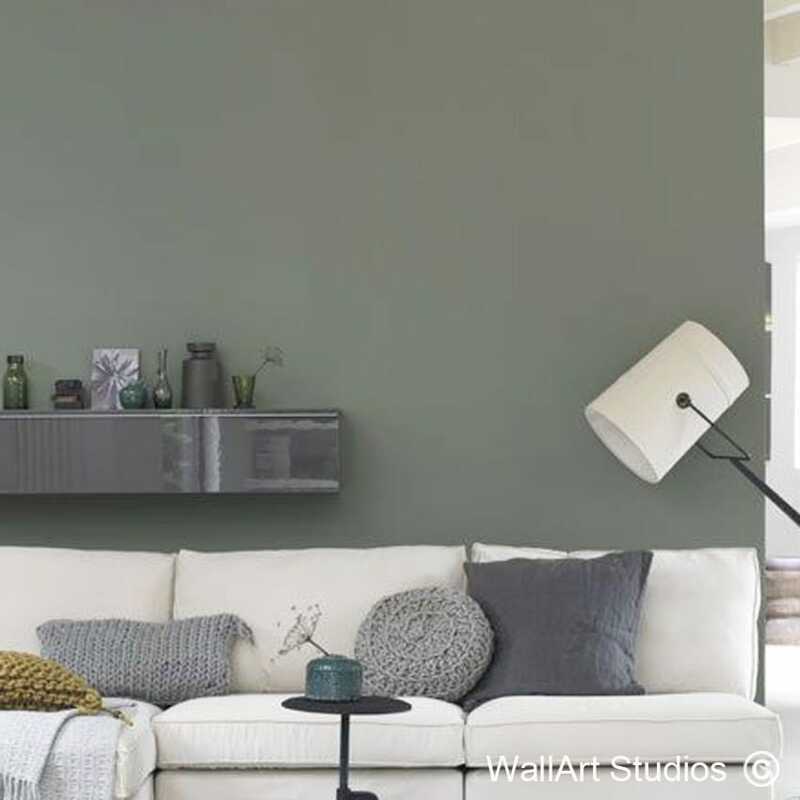 SKU: IS3. 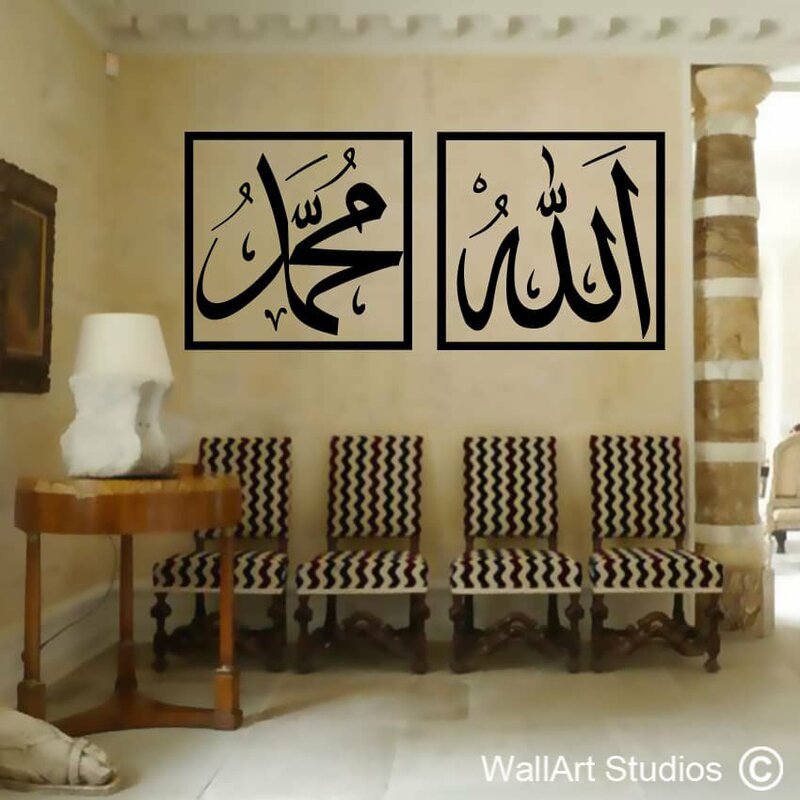 Category: Islamic Wall Art.